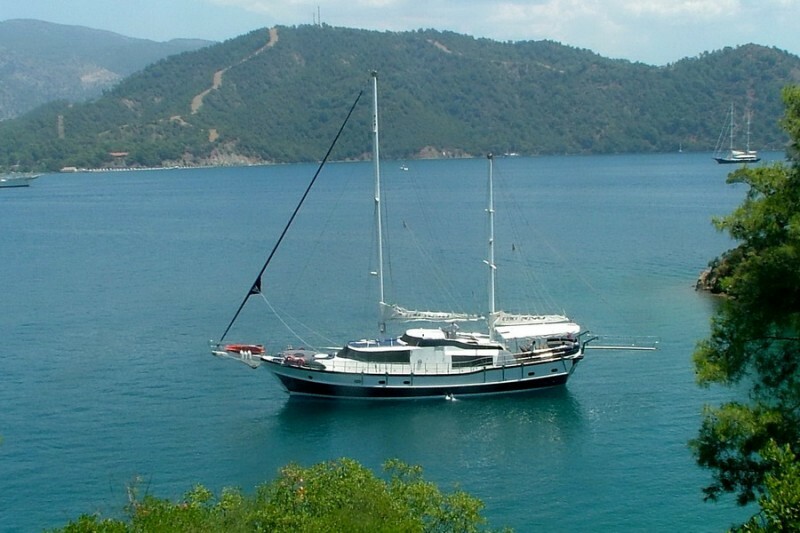 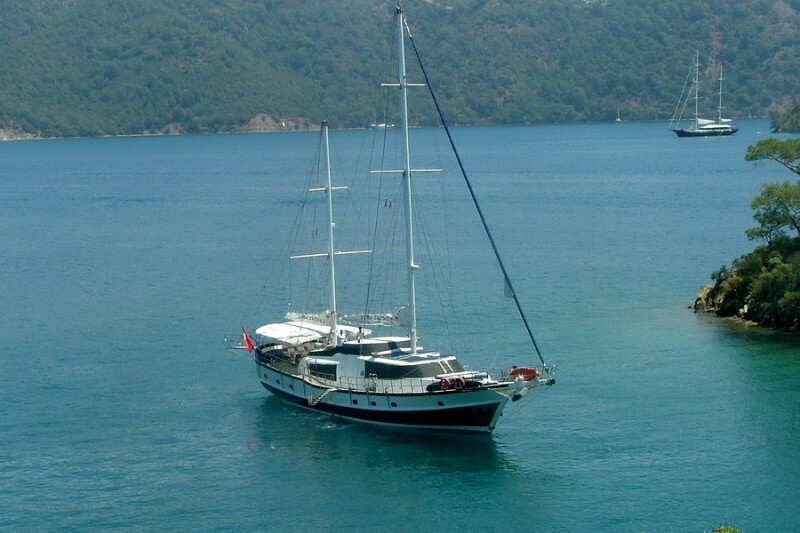 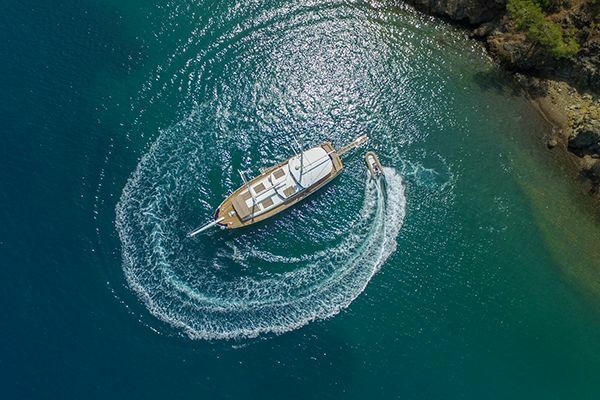 A luxury blue cruise holiday on the Luxury gulet Esma Sultan 2 is ideal for exploring the Turkish coast and the Greek Dodecanese islands, offering space and comfort for up to eight guests. 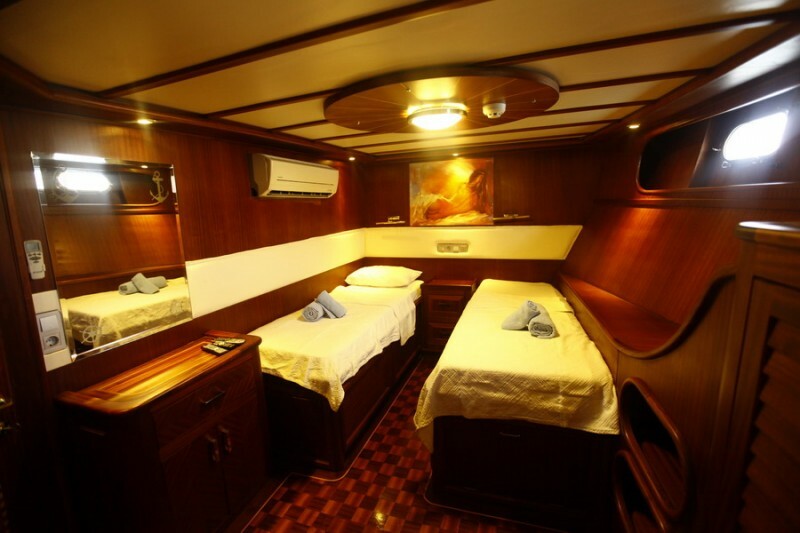 Guests can enjoy the space and comfort of four individually designed cabins: one master cabin aft, another master cabin forward, one double bed cabin and one twin bed cabin are accessed by stairs from the saloon. 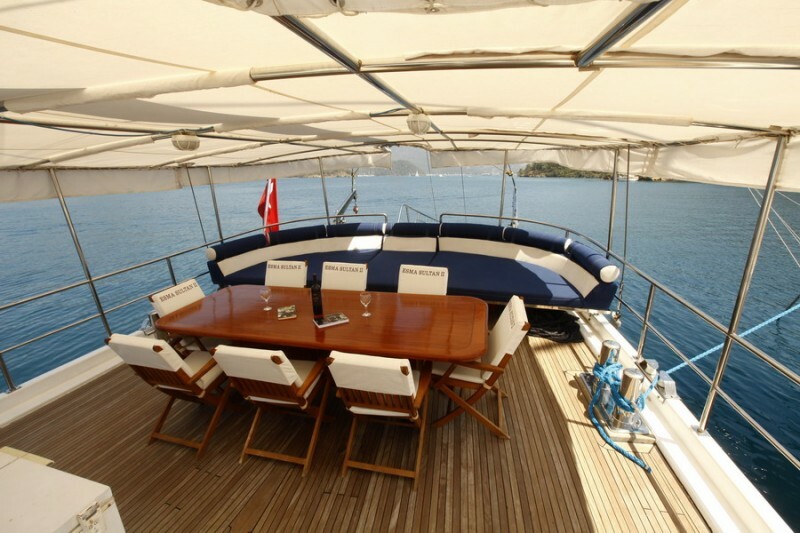 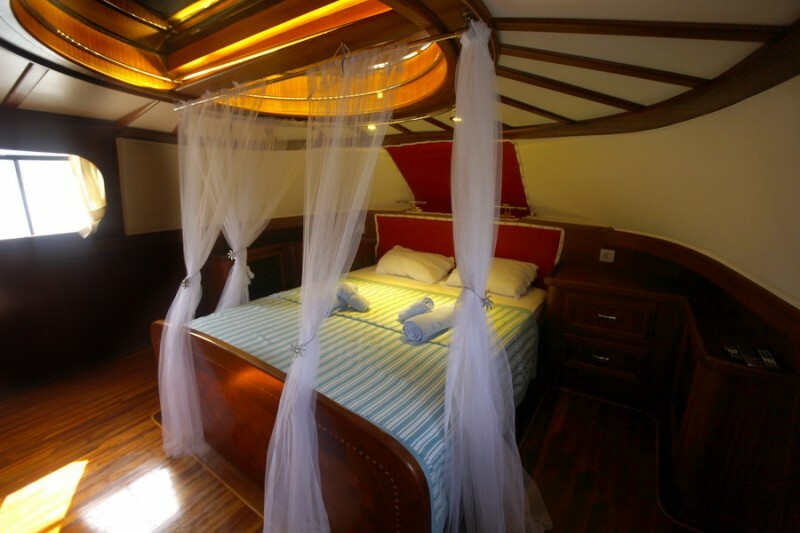 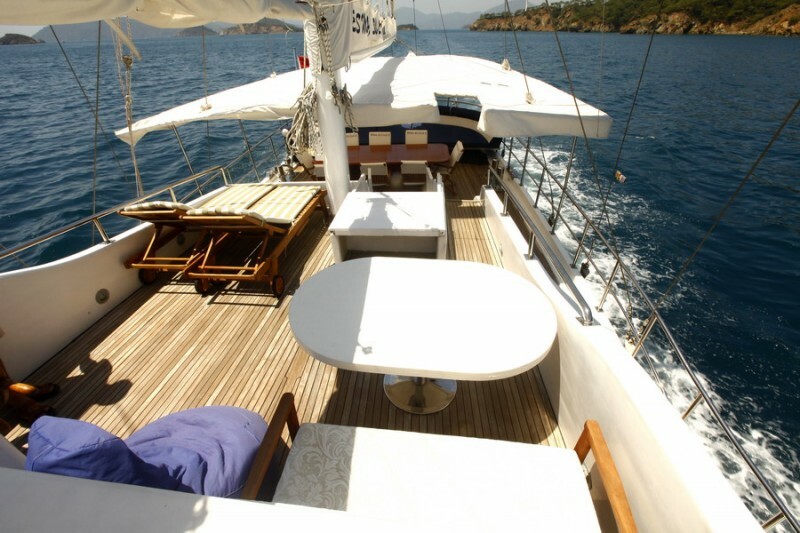 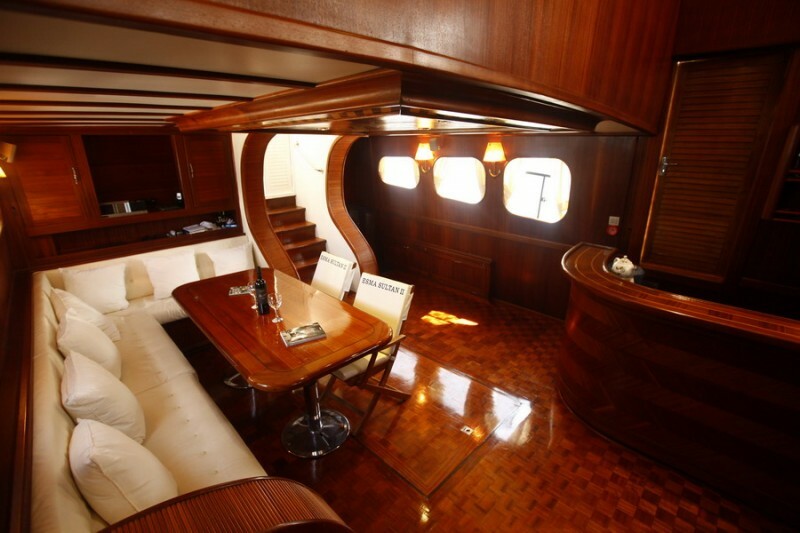 The mahogany timber finish gives the entire interior of the gulet a very warm and cosy atmosphere. 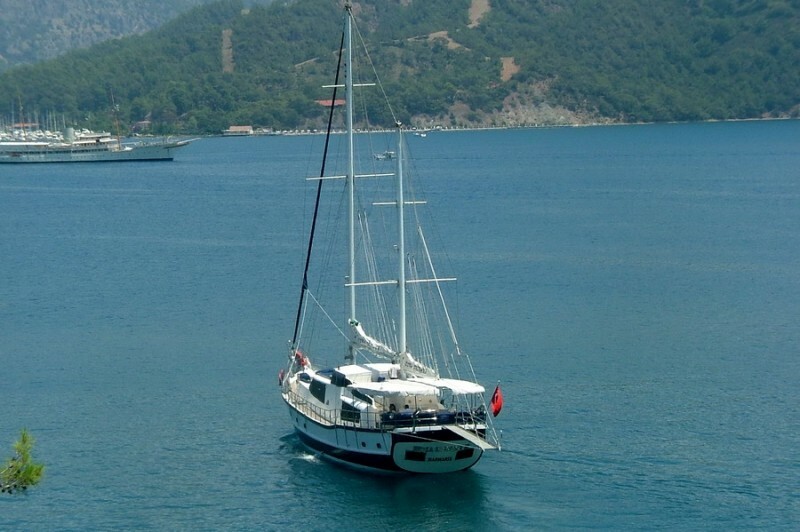 The spacious and comfortable master cabin aft enjoys the full width of the gulet and has a large walk around bed, side seating benches, a desk and plenty space for storage. 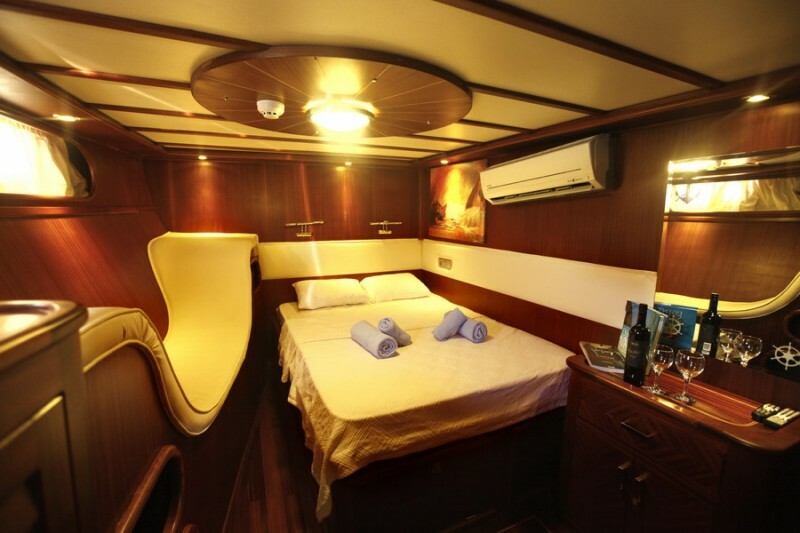 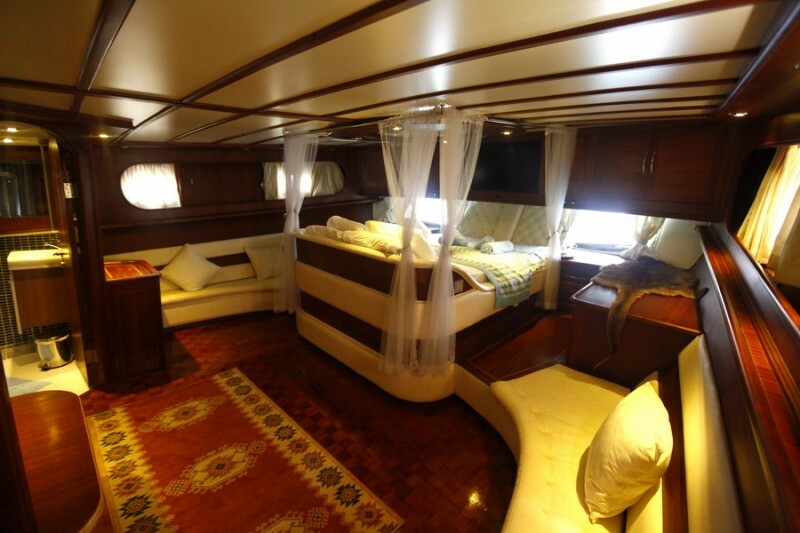 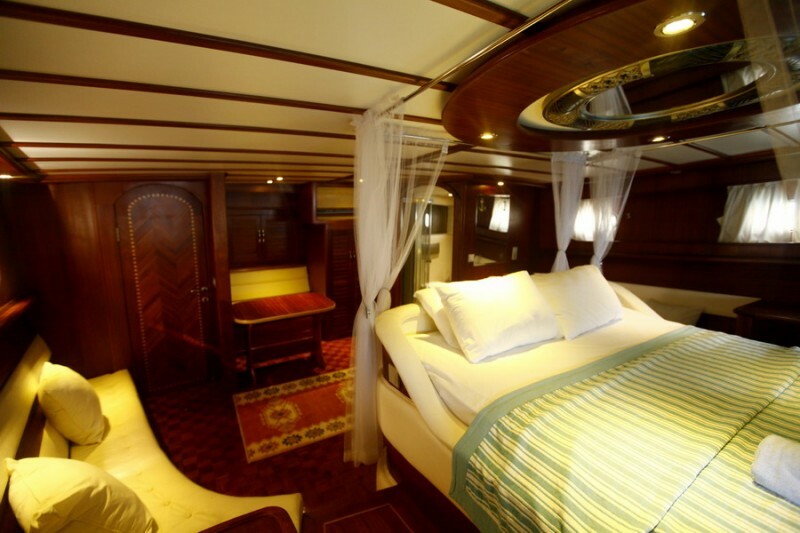 The forward master cabin on yacht Esma Sultan II is also very spacious and comfortable, the double bed cabin has a very distinctive designed settee and the twin bed cabin is too very comfortable. 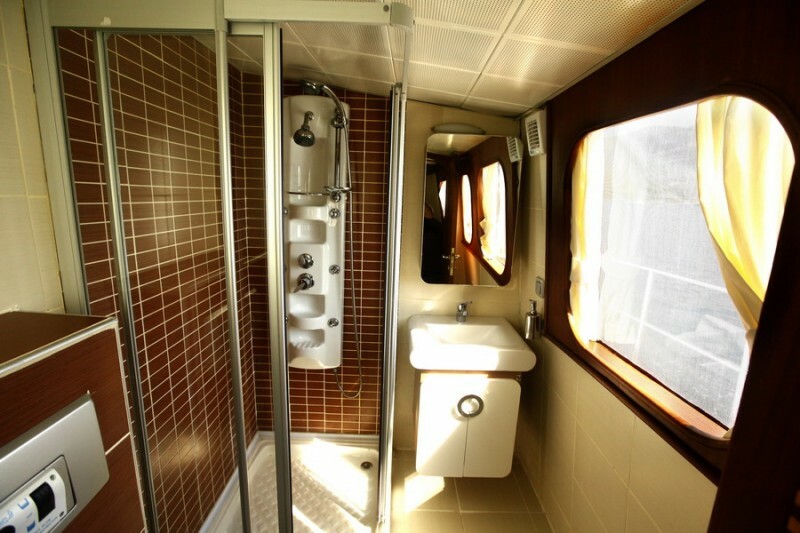 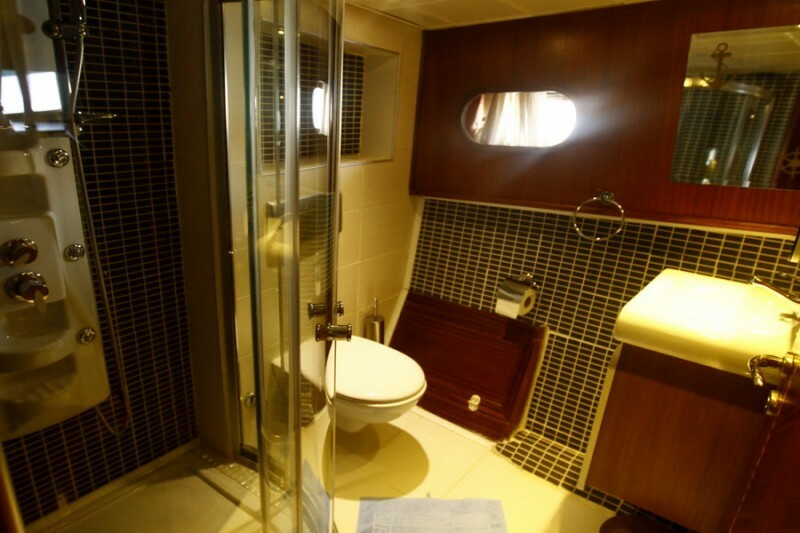 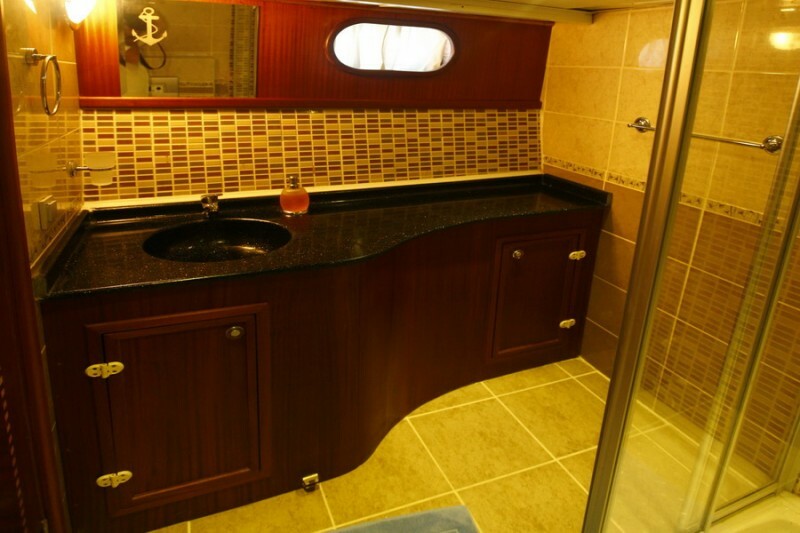 All cabins have their private modern design bathrooms with shower cabins, basins and toilets. 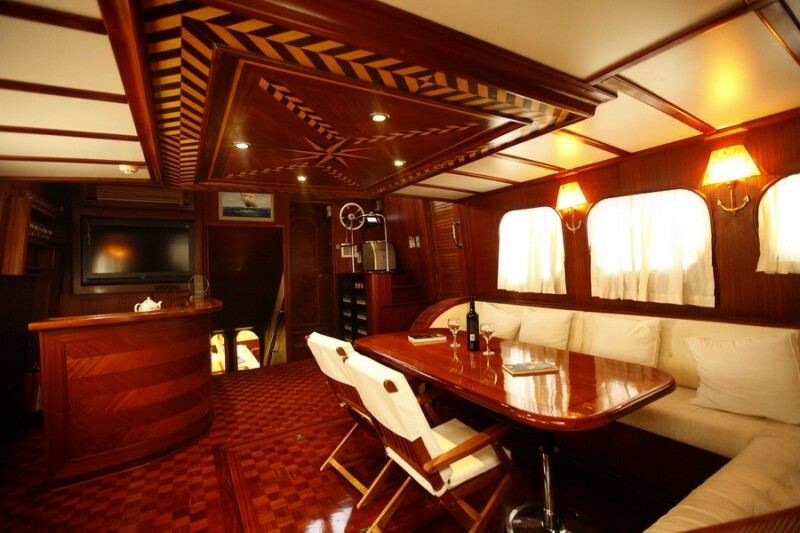 The light-flooded indoor saloon of the gulet ketch is uniquely designed with intricate wood inlaid ceiling and floor in mahogany and other exotic timbers. 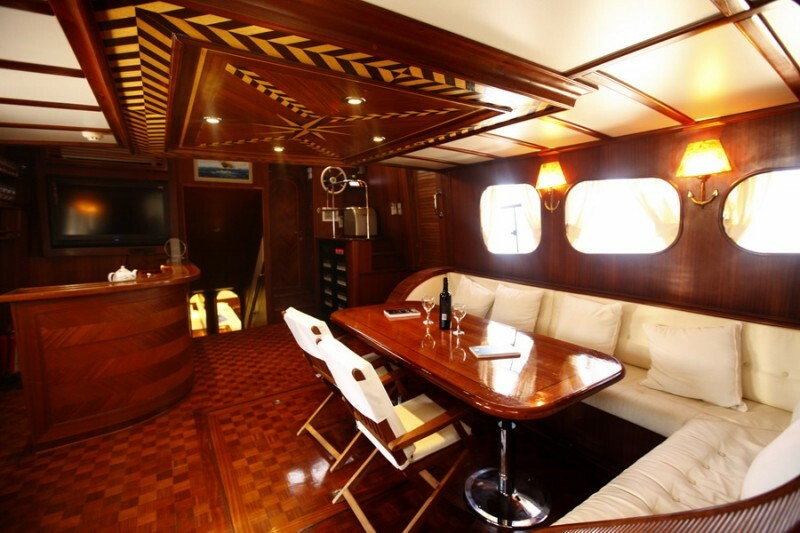 A dining table with a long sofa bench and chairs invites for indoor meals, the service bar opposite allows attending drinks and meals here and outside to the aft deck. 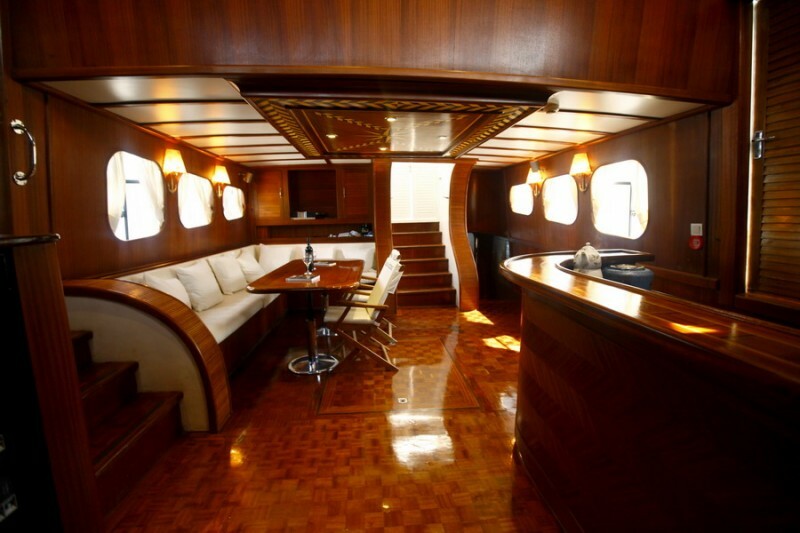 The guests may also enjoy here the TV/DVD and music system and internet connections for entertainment. 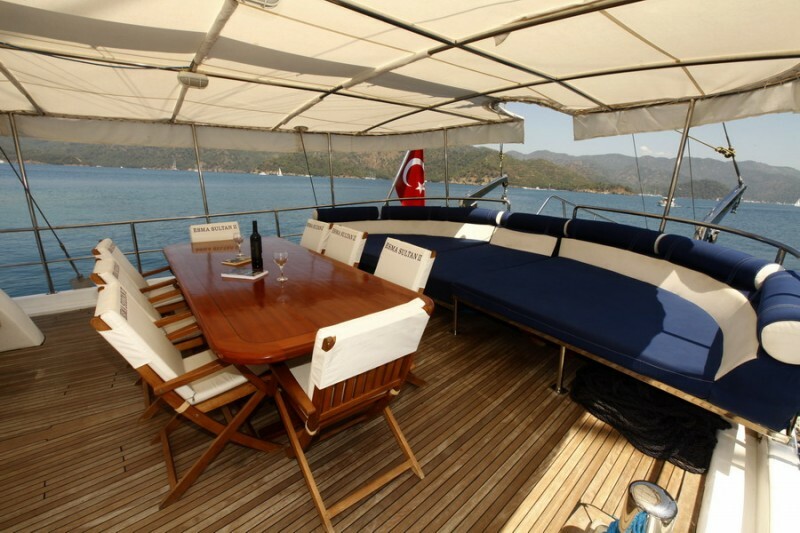 The wide aft deck offers the joys of dining al fresco at the outdoor dining table shaded by the fixed awning, and also the wide bank of cushion pads across the stern in blue and white colours harmonizing with the colour of the teak deck. 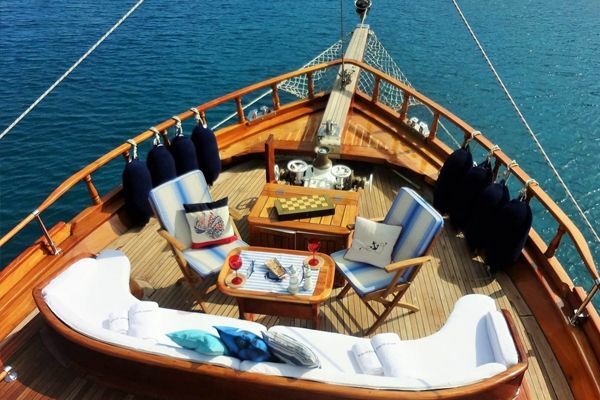 From the aft deck are stairs leading up to the small fly-bridge where some deck chairs and sunbeds are available and where the captain’s helm is to be found. 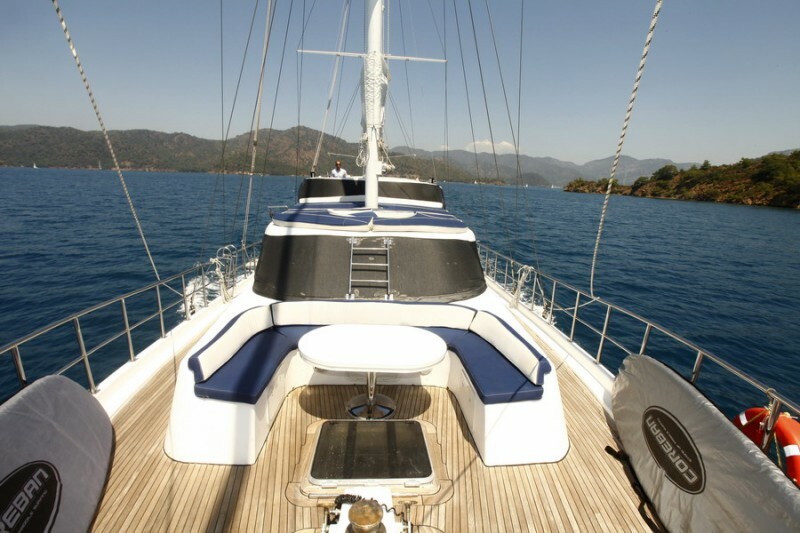 More sunbeds are laid out in front of the flybridge and on the fore deck is a wide and comfortable blue and white seat with a table where views and sunset-drinks can be enjoyed. 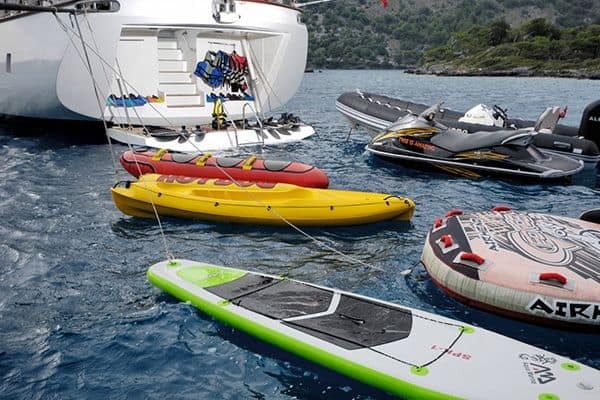 Guests may use the watertoys of waterski, ringo and canoes in the clear turquoise waters of the beautiful bays the captain knows so well. 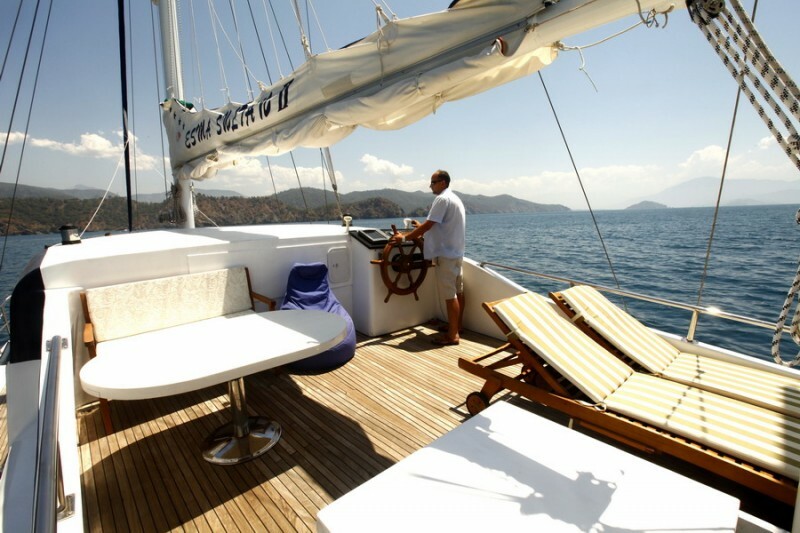 The friendly crew will assist their guests as well for onshore excursions. 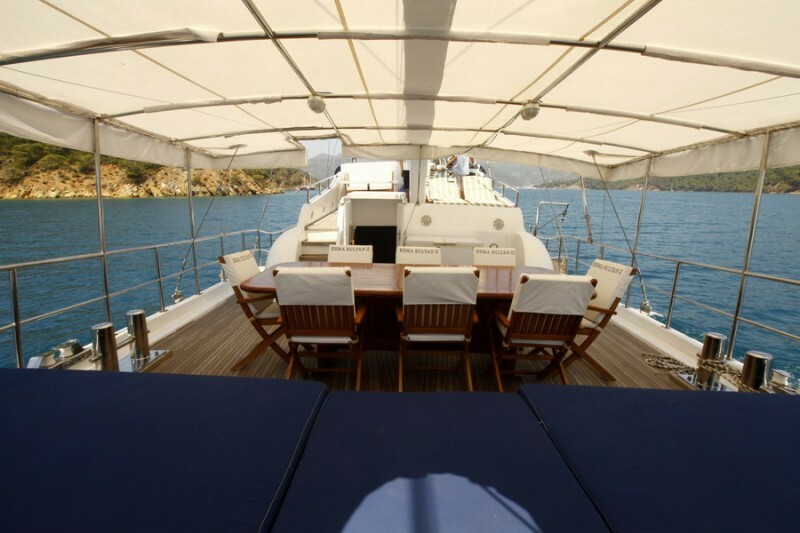 The crew of Captain, chef and two deck hands give exceptional service, meals and discretely professional attention to all guests needs. 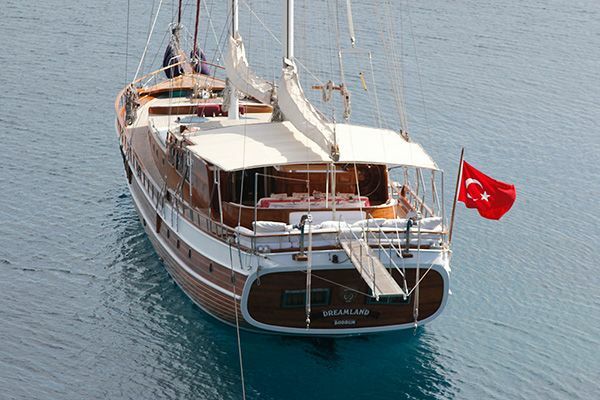 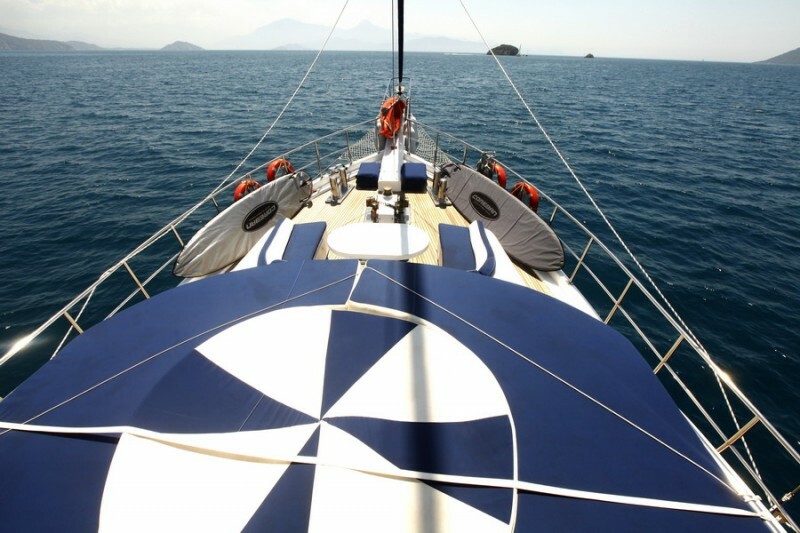 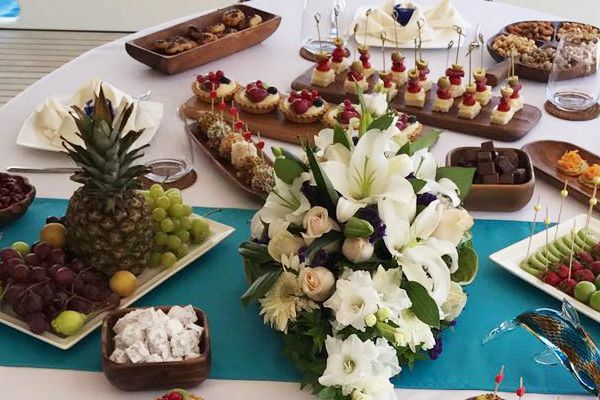 The blue cruise experience on the Deluxe gulet Esma Sultan 2 on the Turkish Aegean and Mediterranean coast and among the Greek islands will be a carefree and memorable time for her guests.